Perhaps one of the trickiest aspects of treating a disease like cancer is that there are so many different varieties. Skin cancer is currently the most common form of the disease in the United States, with approximately 5.4 million cases of nonmelanoma skin cancer being treated in over 3.3 million people each year, according to the Skin Cancer Foundation. Researchers have long debated what the best tactic is for detecting the disease in its earliest stages, when treatment efforts are most effective. One measure that had garnered some support was the practice of scheduling routine full body scans, but a U.S. Preventive Services Task Force withheld its recommendation for the idea last year, citing insufficient evidence that it would be feasible. Now, a group of dermatologists and oncologists are asking the group to reconsider that stance. In an article published in Future Medicine, they explain that conducting the scans on high-risk individuals could help prevent skin cancer deaths. “Skin cancer screening with a total body skin examination (TBSE) is arguably the safest, easiest and possibly the most cost-effective screening test in medicine,” the doctors said. 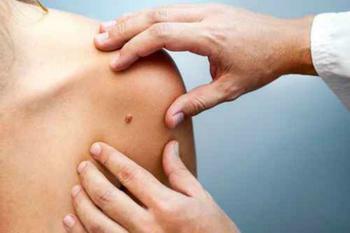 The authors point out that melanoma rates are continuing to grow. It is currently the fifth most common invasive cancer in men and the seventh in women, with over 76,000 new cases being diagnosed in 2016. They explain that early detection is key to improving outcomes for patients; the average 5-year survival rate for patients in state IA – the earliest stage – is 98.4%, compared to 17.9% for stage IV. The screenings would be conducted apart from consumers’ general physical examinations and would target individuals between the ages of 35 and 75 and those who have strong risk factors for developing the disease. The authors say that current screening practices are in much need of improvement, citing findings that only 8% of patients had received a skin examination from their primary care provider or obstetrician/gynecologist in the past 12 months. Providing routine full body exams, they say, could go a long way towards improving those numbers and saving lives. “Risk-based skin cancer screening is warranted and justifiable. Screening could potentially impact early detection of melanoma, resulting in a reduction of morbidity, mortality and cost of treatment,” the authors conclude.